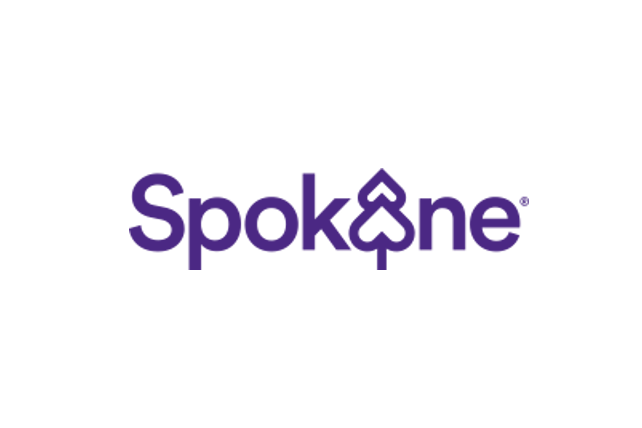 The Centennial Trail is a 40-mile paved trail that runs right through downtown Spokane, Riverfront Park, around Spokane Falls and through Gonzaga University. The trail continues east all the way to the Idaho border where it continues for another 24 miles along the North Idaho Centennial Trail which connects to Coeur d’Alene. Take the trail west, from downtown, all the way through the massive Riverside State Park and explore the Spokane River, Bowl & Pitcher and continue all the way out to 9-Mile Recreation Area. 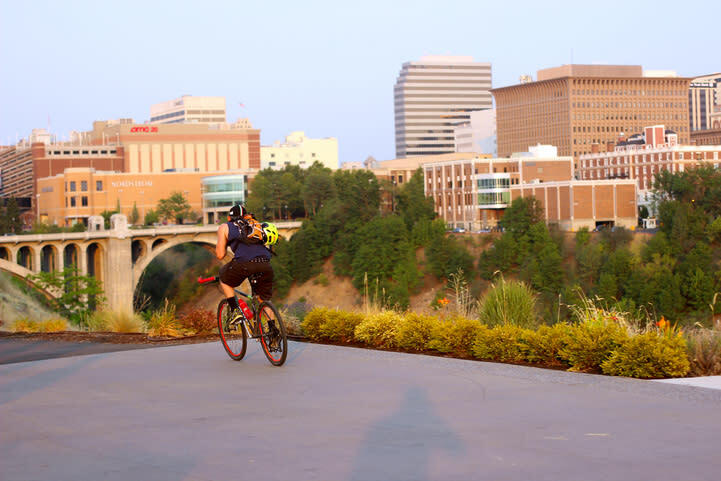 The trail is perfect for biking, roller skating, skate boarding, running, walking, taking photos, wildlife viewing and much more. Use it for getting exercise or commute all over downtown. With a fantastic urban addition finished in 2013, the trail gives excellent access to the Kendall Yards development. Kendall Yards is a growing, multi-use area that has fantastic dining, shopping and nightlife right on the trail. 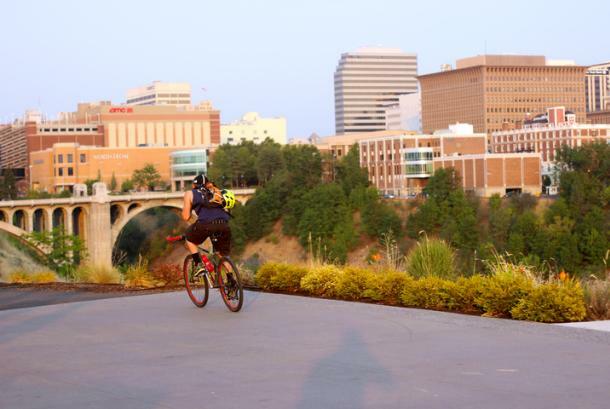 So take your bike for a short ride and enjoy a meal at one of the many wonderful restaurants with some the best views of Spokane. 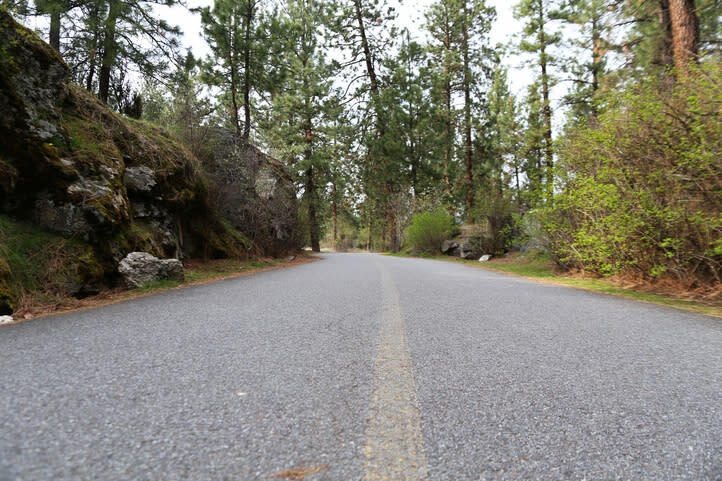 For a more adventurous Centennial Trail excursion, try packing a few overnight supplies and making camp at one of Riverside State Park’s five campsites. If the overnight seems like too much work, grab your swim shorts and explore the seemingly endless amounts of spectacular river spots to spend a day in the sun. For more information on the Centennial Trail, visit the Friends of the Centennial Trail website for trail maps, trail head information and conservation.